In case you haven’t heard, Reddit users are mad as hell. Increasing tension surrounding CEO Ellen Pao has finally given way to a full-on site-wide revolt, as moderators set their subreddits to private in protest of the abrupt firing of talent director Victoria Taylor. 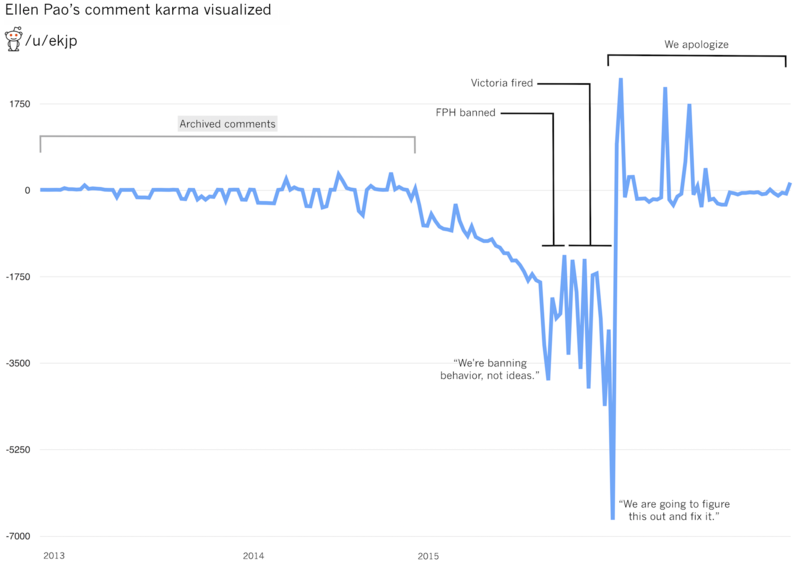 Ellen Pao’s attempts to ease unrest have generally been downvoted to the basement of the site (although a graph by Reddit user /u/Tsukamori suggests it might be getting less dire), and users have been threatening to pack up and leave for a new site, Voat. But what is Voat? Why is it popular now and how is it different from Reddit? No legal subject in this universe should be out of bounds. Our aim is to build a site that serves the needs and wants of our users; one that strives for quality over quantity, and doesn’t pander to the lowest common denominator in return for traffic. Those fancy words really boil down to the idea that Voat is about privacy and free speech, even if it’s speech you don’t like. And it’s the mission that saw the website’s first surge of traffic this Spring, when Pao announced that Reddit banned five subreddits for violating harassment policy. Some redditors saw it as a move to make the site kowtow to Pao and the likes of“SJWs” (short for Social Justice Warriors). 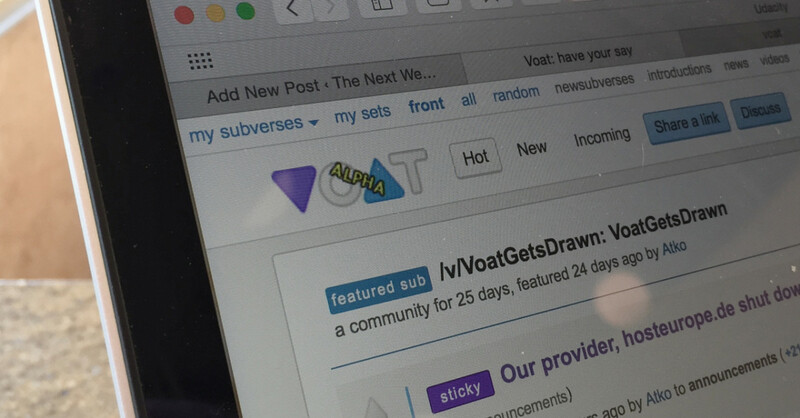 It’s no surprise that those five subreddits immediately set up shop at Voat, which looks and operates very similar to Reddit (although it denies porting any code from the site). 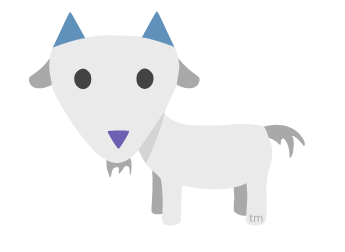 Voat’s servers have crashed recently from overflow, including downtime of roughly 10 hours on July 8. It’s now up, but it’s unclear for how long. Roughly a week ago, creator Atif Colo, also known as Atko, indicated that the volume might lead to a temporary closure of new user sign-ups. So who is coming to Voat, and at what volume? The Twitter account announced before the major Reddit surge that it saw 700,000 uniques in the last 30 days from the month of June, according to Google Analytics, but the recent data is murky due to downtime. Alexa shows that the site has jumped up to the global traffic ranking of 12,089 — for reference, Reddit is ranked currently at 33. Alexa also indicates that a healthy amount of traffic of search keywords from the Gamergate subreddit /r/KotakuinAction as well as “The Fappening,” the Reddit name for the 2014 Celebrity photo hack. It also received plenty of traffic from Reddit itself — about 20 percent of unique visits that hit Voat came from Reddit. Google Trends notes that it is often searched along with the banned subreddit /r/fatpeoplehate (which now thrives on Voat). Although Voat has clearly established itself as the new safe harbor for unhappy former-Redditors, it will be interesting to see how it grows. This isn’t the first time a popular internet community has had a rebel band of folks leave to start their own thing; users of 4chan migrated over to similar website 8chan after creator Christopher “Moot” Poole purged all Gamergate-related threads for violating the site’s rules on doxxing and swatting. 8chan’s domain “8ch.net” shut down abruptly in January of 2015 on charges of child abuse, forcing creators to change the site to a new domain where it continues to remain. Whether Voat reaches its ideals of free speech and technolibertarianism will depend on the collective agreement of those who run it. But it’s clear that users of Reddit both past and present are still demanding an answer from its corporate arm.